Submitted by RobertManley on Wed, 05/05/2010 - 00:42. As a Idaho Home Inspector I see a wide variety of concerns and conditions concerning homes. Some of the home inspection concerns I see are minimal and others are more severe. 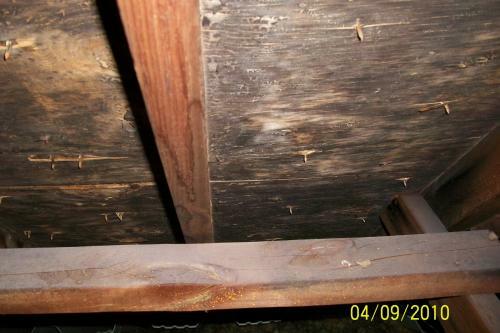 One issue I have come across numerous times is that of condensation and moisture damage in a home attic. When going into an attic there is a level of anticipation and wonder in what may come. Most of the time there is either minimal items to be addressed or sometimes nothing. 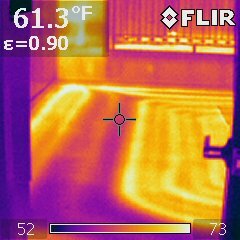 But, occasionally I run across those that are suffering from severe cases of Thermal Dynamics in the home that is damaging. Below are example pictures. So what is going on here? There is a problem that occurs sometimes in our climate here in Idaho which is caused primarily by thermal heat from the interior of a home meeting cold air in winter with a lack of proper ventilation.